Getting the right type of real estate home loan is an important part of the home buying process. In this section we have put together some basic information regarding the types of real estate home loans that are common in the market today. There are a few down payment and closing cost assistance programs to help you with these expenses. If you are a Teacher, law enforcement officer, firefighter, military personnel (active, reserves and veterans), or a health care worker, there are programs just for you along with first time home buyers and more! Check them out at the link below, you may qualify! 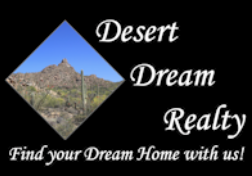 If you have additional questions, please fill out the form below or contact Desert Dream Realty at 480-242-8300.